Need accommodation in Wellington for an event or a holiday? This executive home is perfectly located in a leafy suburb only a short drive from the Westpac Stadium, Te Papa and the city centre in Wellington. A family home with all the facilities you require. Quiet, leafy neighborhood, just around the corner from supermarket and three restaurants. Khandallah Park a short stroll away with public swimming pool and cafe. Ideal location for access to motorway for travels north and only minutes from Interisland ferry. Full range of pantry items, use and replace. Wide range of serving dishes, platters and kitchen implements and appliances. A perfect location with all the facilities to cater for our family. Was really clean, the outlook was lovely and the description matched exactly what was offered in terms of bedding and bathroom configuration. Good information left on how and what to use and location of shops and eating venues. Was a lovely bright and open house which served our group of seven really well. Hosts provided immediate and clear responses to questions prior to commencing our trip. Would definitely stay there again. It was hard to judge the home. We had solid rain the entire time we stayed. It was certainly a very nice house to spend time in when forced by the weather. We found it a bit strange to stay in a house that so obviously was still in use by the owners. We also found it a little expensive for a couple given that we did not use the upstairs at all. The hosts were excellent in their communication so no complaints there. Great property, spacious, comfortable, clean, well-equipped and homely. Great property, spacious, comfortable, clean, well-equipped and homely. A very convenient location, quiet and close to supermarket etc. I guesss you get what you pay for. We had a fantastic stay at this property - we were in town for a corporate AGM and the property did not disappoint us in the slightest! We really loved this property. We really loved this property. 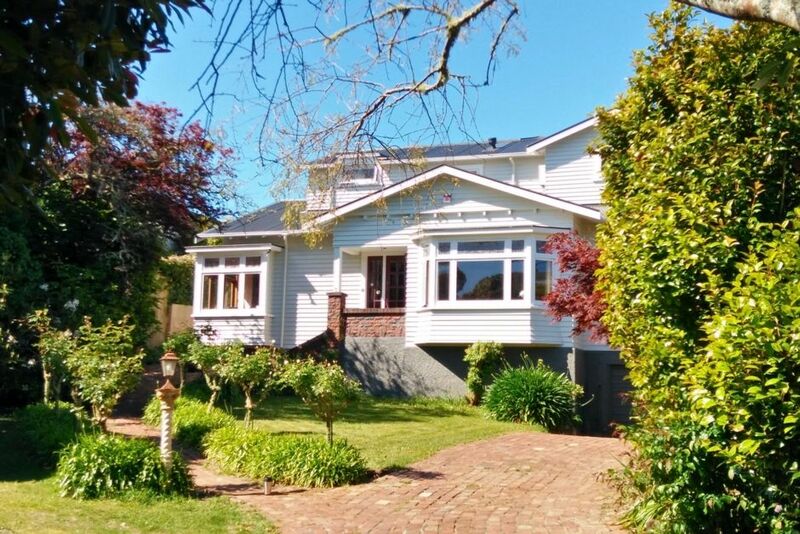 A beautiful old character house in a great location close to the Khandallah shops and to the walkway up to Mt Kau Kau. Peaceful and quiet and very well equipped. A lovely spacious and well equipped family house in a great location. A lovely spacious and well equipped family house in a great location. Close to nice local shops and amenities and the city centre. Thank you for sharing your home with us.